For some e23 releases, we're pretty certain of the sales impact even before we post the Daily Illuminator. 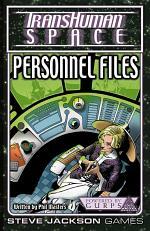 For instance, Transhuman Space Classic: Personnel Files will have a nice sales spike on Thursday when it's first released, and another today when everyone reads this post. It'll likely also generate a spike for the other Personnel Files books -- The Meme Team, Wild Justice, Martingale Security, and School Days 2100. 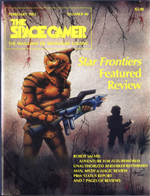 Similarly, Space Gamer #60 will get sales spikes on Thursday and today, and will pull up the sales numbers for other Space Gamer issues. Since SG has so many back issues, chances are just the last couple issues will see a boost. 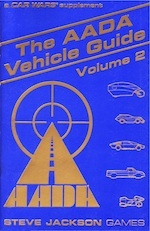 But The AADA Vehicle Guide Volume 2? The sales trend for this one is a bit different. Yes, there will be a bump when it's first uploaded, but the bump today will be smaller. However, where the others quickly settle into an average daily sales number, Car Wars products like Car Wars Compendium and The AADA Vehicle Guide seem to ease down to their final average more slowly. They don't spike as high, but they don't reach their "long tail" minimum as quickly. CW fans checking e23 less frequently than GURPS players explains the lack of a distinct bump on the usual days (and is completely understandable), but it doesn't explain the slower-than-normal drop. It's a puzzle, and I like puzzles. I'll wrap up with a disclaimer: sales trends are funny beasts, requiring a good deal of generalization and squinting to see them. And just like any other type of prediction, I'm going to be wrong pretty often. But that's not going to stop me from making (or enjoying) them!